Minors in the College of Engineering . Students may pursue minors in any department in any college that offers them, subject to limitations placed by the department offering the minor or by the students’ major. Completed minors will appear on the student’s transcript. Not all departments offer minors. Additional information on specific minors can be found above, in the Engineering Undergraduate Handbook, in the undergraduate major office of the department or school offering the minor, and in Engineering Advising. An engineering minor recognizes formal study of a particular subject area in engineering normally outside the major. 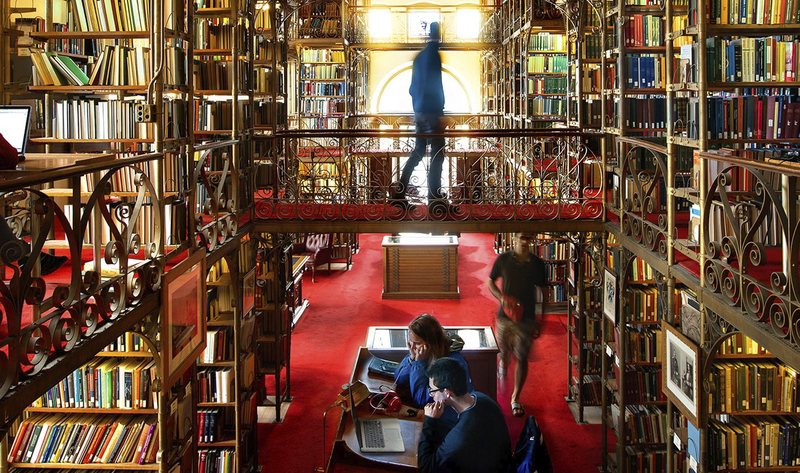 Students undertaking a minor are expected to complete the requirements during the time of their continuous undergraduate enrollment at Cornell. Completing the requirements for an engineering minor (along with a major) may require more than the traditional eight semesters at Cornell. However, courses that fulfill minor requirements may also satisfy other degree requirements (e.g., distribution courses, advisor-approved, or major-approved electives), and completion within eight semesters is possible. successful completion of all requirements for an undergraduate degree. enrollment in a major that approves participation in the minor. satisfactory completion of six courses (at least 18 credits) in a college-approved minor. Students may apply for certification of a minor at any time after the required course work has been completed in accordance with published standards. An official notation of certification of a minor appears on the Cornell transcript following graduation. Students intending to earn this minor should seek advice and pre-approval of their minor academic program from the associate director for undergraduate affairs in Mechanical Engineering before taking courses toward the minor. The aerospace engineering minor develops the engineering analysis and design skills necessary for creating and understanding aerospace vehicles and their subsystems. The minor includes diverse topics relevant to applications both in the earth’s atmosphere (e.g., aerodynamics) and in space (e.g., spacecraft thermal systems or orbital mechanics). Students in this minor will take at least four core aerospace courses, along with up to two supporting courses in engineering fundamentals or courses with applicability to aeronautics and spacecraft. Academic Standards: A grade of at least C– in each course. If a course is offered only S–U, a grade of S is acceptable. Six courses from the lists below, each worth at least 3 credits, must be completed. No substitutions will be accepted from other departments at Cornell or elsewhere. Select at least four courses from group A, of which one must choose MAE 3050 or MAE 3060 (or both). Select at most two courses from group B. No courses from group C may be used. Two courses must be selected from the Aerospace Engineering subject field under the major approved electives list in Mechanical Engineering (for a complete listing, consult www.mae.cornell.edu). These two courses may not be used toward fulfillment of the Mechanical Engineering B.S. degree requirements. Select at least four courses from group A, of which you must choose MAE 3050 or MAE 3060 (or both). Select a total of at most two courses from group B and group C.
Students may not use any courses to satisfy requirements of both the Mechanical Engineering Minor and the Aerospace Engineering Minor. *MAE 4291 and MAE 4900 require a form signed by the project advisor, stating that the project focuses on aerospace and is suitable as a core aerospace course for the minor. MAE 4291 or MAE 4900 must be worth 3 credits or more. Students may count at most one MAE 4291 OR one MAE 4900 toward the minor (i.e. students may not count both MAE 4291 and MAE 4900 toward the minor). All Engineering undergraduates affiliated with all Engineering majors are eligible to participate in the Applied Mathematics minor. Academic standards: At least C in each course in the minor. At most one course may be chosen from each of groups 1-4. At least three courses must be chosen from groups 5 and 6. At most one 2000-level course may be chosen. At most one course may be chosen that is offered by the student’s major department. Students in all majors except biological engineering may participate. Students should meet with the BE coordinator as soon as they decide to pursue the minor and before their senior year. They will work with a BEE faculty advisor, who will assist them in completing their minor. Biological engineering is the application of engineering to living systems. Examples of engineering efforts in this field include the development of new biosensor technologies, study and control of biologically based matter transformation systems, and development of engineered devices to study and regulate fundamental biological processes. The biological engineering minor is an opportunity for students to further their understanding of living systems and to increase their knowledge of the basic transport processes that occur within these systems. Courses in the minor provide opportunities to analyze and manipulate living systems at the molecular, cellular, and system levels. Choose any three courses from the concentration lists below. Courses appearing in more than one concentration do not double count. BEE 3600 may be taken as either a concentration elective or a core course. Contact: Belinda Floyd, 109 Weill Hall, (607) 255-2573, bh42@cornell.edu, www.bme.cornell.edu/academics/undergraduate/bem.cfm. Students interested in the minor should contact Belinda Floyd at the address listed above for an application. Consult the web site listed above for instructions. The 1-credit bioengineering seminar as well as at least six courses (≥ 18 credits) from the five categories listed below; two course groups need to be in categories 1. Introductory biology and/or 2. Advanced biology with no more than one course from category 1. Four courses must come from the following categories: 3. Molecular and cellular biological engineering, 4. Biomedical engineering analysis of physiological systems, and 5. Biomedical engineering applications with courses from at least two of these categories represented. At least four of the six courses must not be specifically required major degree courses or cross-listings. Students affiliated with all majors except civil engineering may participate in this minor. The minor in civil infrastructure is intended to introduce undergraduates to the engineering methodologies of mechanics, materials, analysis, design, and construction and to show how these are used in solving problems in the development, maintenance, and operation of the built environment that is vital for any modern economy. Students affiliated with all majors except Computer Science are eligible to participate in this minor. This minor is for students who anticipate that computer science will play a prominent role in their academic and professional career. Completion of a Computer Science minor, with a well-selected set of classes, can serve as good preparation for further study in the Computer Science Master of Engineering (M.Eng.) program. Academic standards: at least a letter grade of C is required for each course in the minor. Cross-listed courses cannot be applied to the minor unless taken under the CS rubric, with the sole exception of ECE 3140 and CS courses also listed as ENGRD. All qualifying courses must be taken at Cornell for a letter grade. No substitutions allowed. Students affiliated with all majors except Electrical and Computer Engineering are eligible to participate in this minor. This minor offers the opportunity to study analog and digital circuits, signals and systems, and electromagnetics and to concentrate at higher levels in one of several different areas such as circuit design, electronic devices, communications, computer engineering, networks, and space engineering. Academics standards: At least C- in each course in the minor. GPA ≥ 2.3 for all courses in the minor. Students affiliated with all majors are eligible to participate in this minor. CEE students may not use courses simultaneously to satisfy a requirement for the minor and as a major-approved elective or design elective. ORE students have some specific restrictions and requirements as noted below. Students pursuing the Independent Major should obtain approval from CEE for their proposed minor courses, as they relate to approved primary- and secondary-area programs. This minor focuses on giving students a basic understanding of engineering economics, accounting, statistics, project management methods, and analysis tools necessary to manage technical operations and projects effectively. The minor provides an important set of collateral skills for students in any engineering discipline. Students affiliated with all majors except Operations Research and Engineering are eligible to participate in this minor. The goal of the minor is to provide the student with a firm understanding of statistical principles and engineering applications and the ability to apply this knowledge in real-world situations. Academic standards: At least C– in each course in the minor. GPA ≥ 2.0 for all courses in the minor. *Other course options approved by petition in advance. Some of these courses require others as prerequisites. All these courses are crosslisted under the Department of Statistical Science. Students affiliated with all majors except environmental engineering are eligible to participate in this minor. Civil engineering majors may not use courses simultaneously to satisfy a requirement for the minor and as a major-approved elective or design elective. A fundamental challenge for the engineering profession is development of a sustainable society and environmentally responsible industry and agriculture reflecting an integration of economic and environmental objectives. We are called upon to be trustees and managers of our nation’s resources, the air in our cities, and water in our aquifers, streams, estuaries, and coastal areas. This minor encourages engineering students to learn about the scientific, engineering, and economic foundations of environmental engineering so that they are better able to address environmental management issues. At least six courses (≥ 18 credits), chosen from the following groups, with at least one course from each group. Offered by the Department of Computer Science. Note: CS majors cannot take courses from the CS-focused list for the Game Design minor. Students affiliated with all majors except Operations Research and Engineering and Information Science, Systems, and Technology are eligible to participate in this minor. The aim of this minor is to provide an in-depth education in issues central to the design and analysis of operational systems, and the tools from information technology that have become an integral part of the manufacturing, finance, service, and public health industries. Students will become familiar with the problems, perspectives, and methods found in these fields and be prepared to work with professionals in designing and managing them. That is, rather than providing a comprehensive view of the range of methodological foundations of operations research, this minor is designed to give the student a focused education in application areas closely associated with these techniques. A minor in information science is available to students in the Colleges of Agriculture and Life Sciences; Architecture, Art, and Planning (available to Architecture and Planning students only); Arts and Sciences; Engineering; Human Ecology; and the Schools of Hotel Administration and Industrial and Labor Relations. Because of small differences in regulations between the colleges, the requirements may vary slightly, depending on a student’s college and, in a few cases, a student’s major. Students interested in pursuing the information science minor must initiate the process by sending an e-mail message with their name, college, year of study (e.g., second-semester sophomore), expected graduation date, and (intended) major to ISminor@cornell.edu. See http://www.infosci.cornell.edu/academics/undergraduate/undergraduate-minor-information-science for the most up-to-date description of the minor and its requirements. Information science is an interdisciplinary field covering all aspects of digital information. The program has three main areas: human-centered systems, social systems, and information systems. Human-centered systems studies the relationship between humans and information, drawing from human-computer interaction and cognitive science. Social systems examines information in its economic, legal, political, cultural, and social contexts. Information systems studies the computer science problems of representing, storing, manipulating, and using digital information. The minor has been designed to ensure that students have substantial grounding in all three of these areas, as well as in statistics. To this end, the requirements for the undergraduate minor are as follows: All courses must be chosen from the course lists below. In addition, a letter grade of at least C is required; S–U courses are not allowed. Note: Course credits from institutions other than Cornell may not be counted toward the IS minor. Engineering students must use ENGRD 2700 or CEE 3040 . Hotel students must use HADM 2010 . Statistics: one course. Students do not have to take statistics again if taken elsewhere or they have AP statistics credit. However, students must then take an elective from any area of the minor in order to reach the minimum number of classes. Human-centered systems (human-computer interaction and cognitive science): two courses (for all colleges except Engineering and Hotel); one course (Engineering and Hotel). Social systems (social, economic, political, cultural, and legal issues): one course. Information systems (primarily computer science): two courses for all colleges except Hotel. Hotel students need to take one course in this area. Engineering students may not use INFO 1300 . CS 2110 may not be used by students who are required to take it for their major. *INFO 3152 , INFO 4152 , or INFO 4320 may count toward the minor in Human-Centered Systems or Information Systems but not both. *Only one of ECON 3010 and ECON 3030 (formerly 3130) can be taken for IS credit. Only one of ORIE 4350 and ECON 4020 (formerly 3680) can be taken for IS credit. *INFO 1300 : engineering students and Computer Science majors may not use this course for the minor. *INFO 2300 : Computer Science majors may not use this course for the minor. *CS 2110 : students for whom this is a required major course may not use it for the minor, e.g., Computer Science or Operations Research and Engineering majors. **INFO 3152 , INFO 4152 , or INFO 4320 may count toward the minor as Information Systems or Human-Centered Systems but not both. Students affiliated with all majors except materials science and engineering are eligible to participate in this minor. Materials properties are the foundation of many engineering disciplines including mechanical, civil, chemical, and electrical engineering. This minor provides students with a fundamental understanding of mechanisms that determine the ultimate performance, properties, and processing characteristics of modern materials. Any MSE course at the 3000-level or above OR selected courses in materials properties and processing (at the 3000-level or above) from AEP, CHEME, CEE, ECE, MAE, PHYS, and CHEM, as approved by the MSE undergraduate major coordinator. Students affiliated with all majors except MAE are eligible to participate in this minor. Students intending to earn this minor should seek advice and pre-approval of their minor academic program from the associate director for undergraduate affairs in mechanical engineering before taking courses toward the minor. Academic standards: At least C– in each course in the minor. The selection of courses must satisfy the following three requirements. At least two courses must be numbered above 3000. At least one course must be either (i) numbered above 5000 or (ii) numbered above 3260 and have as a prerequisite ENGRD 2020 , MAE 2030 , or a MAE course. Each course must be worth at least 3 credits. All courses used to satisfy the MAE minor must be MAE courses, ENGRD 2020 or MAE 2030 . No substitutions will be accepted from other departments at Cornell or elsewhere. Transfer credit may not be used to satisfy the MAE minor. MAE 1110 - Naval Ship Systems I (Engineering) , or MAE 4980 - Teaching Experience in Mechanical Engineering , may not be used toward satisfying the M.E. minor. MAE 4900 or MAE 4291 may be used for at most one course in the minor. Operations research and management science supports decision making through modeling and analysis of complex systems. This understanding is used to predict system behavior and improve system performance. This minor gives the student the opportunity to obtain a wide exposure to the core methodological tools of operations research and management science, including mathematical programming, stochastic and statistical models, and simulation. The intent of this minor is to provide a broad knowledge of the fundamentals, rather than to train the student in a particular application domain. With this preparation, students can adjust their advanced courses and pursue either methodological or application-oriented areas most relevant to their educational goals. Academic standards: At least C- in each course in the minor. GPA ≥ 2.0 for all courses in the minor. Students affiliated with all majors except science of earth systems are eligible to participate. Some of the major problems facing mankind in this century involve earth science, especially the generation of new energy sources for a growing world population, and engineers will be challenged to solve these problems. This minor will prepare engineering students to understand the natural operating systems of Earth and the tools and techniques used by earth scientists to understand and monitor these solid and fluid systems. * Students who have completed the discontinued course, EAS 3040 Interior of the Earth, may use it in place of one of these two options. These may include additional courses from the above lists, undergraduate research courses, and outdoor field courses. participation in the Cornell University Field Program in Earth and Environmental Systems. Contacts: Curricular topics: Jeff Tester, Croll Professor of Sustainable Energy Systems, Associate Director, Atkinson Center for a Sustainable Future, 2160 Snee Hall, (607) 254-7211; Administrative or registrar topics: Carol Casler, undergraduate programs office of the School of Chemical and Biomolecular Engineering, (607) 255-1489. Individual faculty members in most units in the College of Engineering are involved in research and education intended to move society toward more sustainable solutions to our energy needs and are sources of guidance to students interested in the Energy minor. Many of these faculty members are noted in the directory of energy studies in the College of Engineering: www.geo.cornell.edu/eas/energy. The minor is open to all undergraduate students. Providing affordable energy to meet the demands of both developed and developing nations without further damaging the natural environment and the Earth’s climate system is a grand challenge for the 21st century. Our quality of life and the stability of nations ultimately depend on having accessible energy resources and an equitable and sustainable energy supply and distribution system. Achievement of these goals requires the participation, ingenuity, and hard work of people with a range of specialized backgrounds, working collaboratively. The minor is intended to emphasize the importance of viewing the challenge of meeting the world’s energy needs as a system of interacting themes. The requirements of the minor are designed to provide breadth across a range of energy resource types and conversion, transmission and storage technologies along with coverage of the environmental, economic, political, and social consequences of various options. Academic standards: At least C– in each course or, for S–U only courses, S.
Social Impact: Policy, Economics, Business, History, Ethics, and Risk Analysis. Consult the web site of the Atkinson Center for a Sustainable Future, www.sustainablefuture.cornell.edu/education/minors.php, for updates regarding requirements and acceptable courses. All Engineering undergraduates, except those majoring in Operations Research and Engineering (ORE), are eligible to declare beginning the first semester of their second year. Students planning to major in Chemical Engineering should meet with a member of the Engineering Advising staff during their first or second year to discuss requirements and possible courses of study to complete the minor. A declaration of intent form is availabe to students in Olin 167 or 135 Warren Hall. Please see the Business Minor website above for current deadlines. This minor provides a focus for Engineering students interested in business. The College of Engineering does not accept AP credit for statistics, but it is accepted to fulfill AEM’s requirement for the minor in business for engineering students. *ECE 3100 , which is allowed as a substitute for ENGRD 2700 in the College of Engineering, is not allowed as a substitute for AEM’s minor in business for engineering students. **ORIE 3150 will not satisfy the two-semester sequence in financial and managerial accounting required by many of the specializations in the AEM major.